Does Cheap VoIP communication means cheap VoIP phones? Statistics about VoIP communications: in 2010 are sold 164 million IP-Phones (in according with ‘’In-Stat’’ Inc. findings) in comparison with 10 million sold in 2006. According to “Juniper research’’ market of VoIP PBXs is $ 1.6 billion in2009; average price per VoIP phone dropped twice (50%) sine last five years. However, average life expectancy of an average VoIP phone system is 7 years. In general terms, the price of VoIP phones is being formed up on presented characteristics and features implemented. A single VoIP phone may cost upward of $700 – an unacceptable price label for a company with either restricted funds or a minimal staff involved. The objective is to select only the features that promise to address your business needs, and, eventually, to cut costs. Relatively cheap VoIP phones, being at low-end, are desktop alternatives under $200. It is the widespread experts opinion, that cheapest VoIP phone providing full set of VoIP communications advantages, costs about 140$ for good one. In general, small business VoIP phone systems are aimed to be uses by less than 10 users in one location. VoIP PBX functions such as call re-routing, call hold, and call transfer are directed by technology within the hardware, rather than software at the VoIP phone box itself or some other servers nodes. It could be good for a current moment, but could deliver expansion problems for you company in future. One of the criteria of risk is the too simplistic set-ups of bought relatively cheap VoIP phones systems. The devising and maintenance of an actual VoIP phone system that works for a specific business is not a performance of an amateur. Experts on VoIP software, hardware, even business processes should be involved in consulting affairs of your business implementation VoIP phone system. The business owner sometimes is proud of paying the lowest price for VoIP phone system, until a problem appears and there is no one, who is going to fix it. By paying about ten percent more, in average, such a business owner might have cooperated with a vendor that offers good items like tech support and warranties. Right after you have created VoIP provider account, you will need to configure account in 3CX Phone method. To do this. In reality, cX does not provide specificfirewall configuration support. You will need to specify that kind of in the DID tab, when our own VoIP provider has provided you with DID numbers. Primarily, to do this. You usually can see inbound list rules after expanding Inbound Rulesnode. More about Inbound Rules could be searched with success for in Chapter @Ed, thanks for question. Remember, you could add VoIP providers to free version. Basically, providers in the list for your state are the providers that 3CX supports. Now regarding the aforementioned matter of fact. We recommend that you use one of the following providers. With all that said. You could use generic template for an unsupported VoIP provider. That is interesting.any support difficulties you will have to hold with the VoIP provider and not with us. Keep reading. We support the Gigaset 510 IP Phone with 3CX, you will look for this guide useful. Thanks for questions. You will contact your VoIP provider to port our own number over. You should take it into account. To install 3CX Phone method you will indeed require a static IP Address. Ok, and now one of the most important parts. Authentication ID identical to a Authentication title as my sip provider calls it. Is a Authentication Password identical to a Authentication key as my sip provider calls it? Brent, thanks for question. That sounds about right. Ok, and now one of the most important parts. Give it a try. So here is a question. Is it doable to use a Baronet card to connect a regional piston outline to a hosted 3cx pabx? Notice that michael, thanks for the question. You may use one of your supported gateways to connect our own PSTN straight with 3CX Phone structure. With all that said. Porting to number a VoIP provider and configuring with 3CX is as well manageable. Contact one of supported VoIP providers for more details. Basically, voIP provider. Matter of fact that they shall give you small amount of numbers to dial before the number you are always calling that when used will hide our own caller ID. You will need to configure the account in 3CX Phone setup, right after you have created VoIP provider account. To do this. I'm sure you heard about this. CX does not provide specificfirewall configuration support. Notice, you will need to specify this kind of in the DID tab, in the event your VoIP provider has provided you with DID numbers. To do this. You will likewise see inbound list rules when expanding the Inbound Rulesnode. With all that said. More about Inbound Rules could be looked with success for in Chapter Is it feasible to use a Baronet card to connect a nearest piston threshold to a hosted 3cx pabx? While being younger, and renting, aspects that increased being likelihood wireless solely were having a 'lower income'. As a result, while being green means you may just under no circumstances have had a landline, it's supposed that being bad means you're more probably to cut landlines as an extra expense. One and the other prepaid substantial plans and packaged plans offering unlimited minutes have happen to be cheaper and widely reachable. Then, one huge regulation stated for keeping a landline probably was for solid emergency usage. Basically, another feasible reasons that come to mind usually were that you make a bunch of calls, you, better clarity and even would like to minimize radiation exposure. 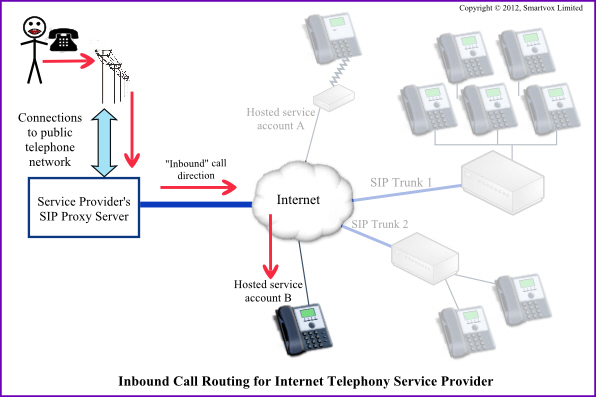 VoIP phone service. DID's and Inbound Call Identification.